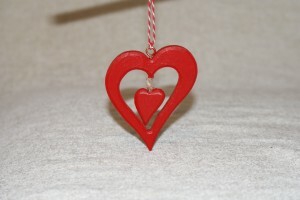 Home / STORE / Hearts / Decorative Red Hearts. 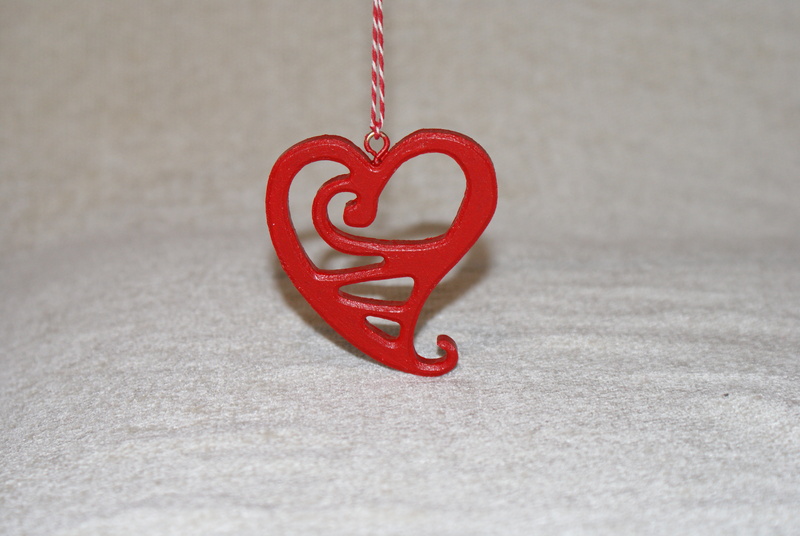 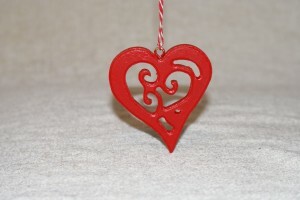 These decorative hearts are painted red with a candy twist red/white cord. 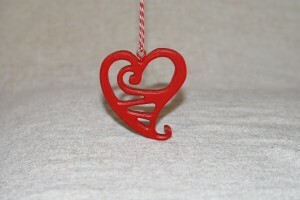 They are a lovely adornment for any Christmas Tree. Styles may vary.